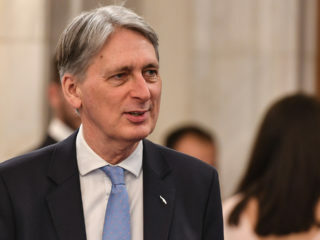 Britain's finance minister Philip Hammond said Thursday there had been "some movement" by the European Union that could lead to a breakthrough in Brexit talks in "the next few days". 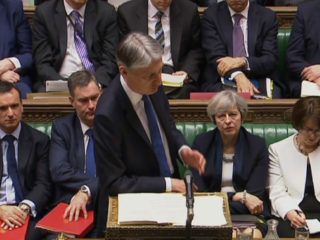 Britain's finance minister pledged Sunday that "fiscal buffers" would be in place to deal with the potential chaos of the country crashing out of the European Union without a deal in March. 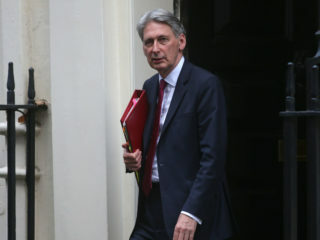 Britain is still "very confident" of a Brexit divorce deal with the EU, finance minister Philip Hammond said Tuesday, a day after negotiations failed at the eleventh hour to produce an agreement. 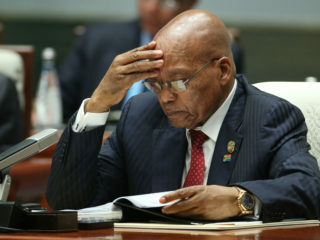 British lawmaker Peter Hain said on Wednesday he has asked finance minister Philip Hammond to refer an unidentified UK bank to regulators for an investigation into possible involvement in alleged money laundering involving South Africa’s Gupta family. 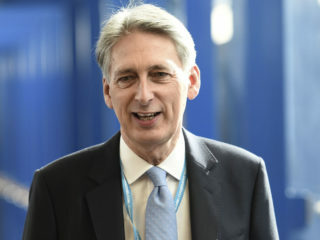 Britain's consumers and businesses are holding back from spending owing to uncertainty surrounding Brexit negotiations, the country's finance minister said on Wednesday. 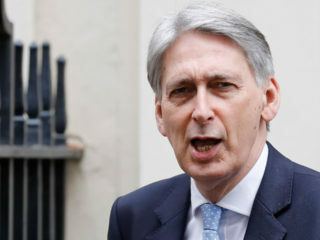 Britain's economy will grow far stronger than expected this year, finance minister Philip Hammond said Wednesday, as the country readies to trigger its exit from the European Union. 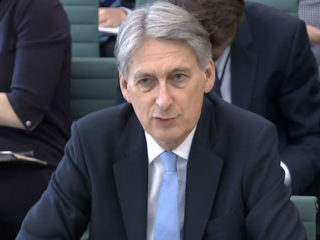 British Finance Minister Philip Hammond has warned that Brexit negotiations would be difficult, but said he hoped to maintain strong economic ties with the European Union. 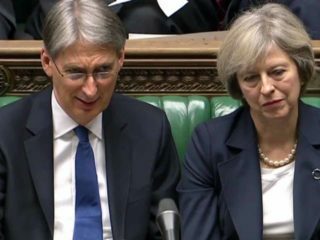 Brexit will spark an economic slowdown and ravage public finances, forcing a multi-billion-pound spike in state borrowing over the next five years, a gloomy mini-budget revealed Wednesday. 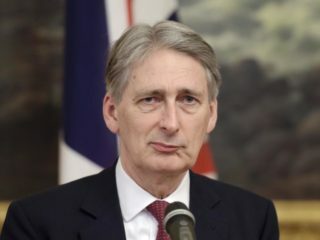 Britain's economy faces "turbulence" as it negotiates its EU exit and consumer and business confidence could go up and down like a "rollercoaster", finance minister Philip Hammond warned on Monday. The British government pledged Saturday to match European Union funding for farmers, universities and infrastructure projects following Brexit, as it sought to allay fears over key sectors. 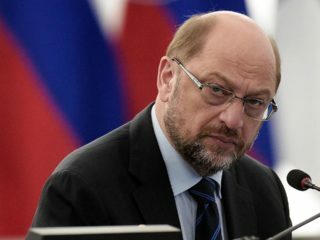 European Parliament chief, Martin Schulz, has criticised the Cabinet picks of new British Prime Minister, Theresa May, as part of a “dangerously vicious cycle” that will hurt Britons in the long run.